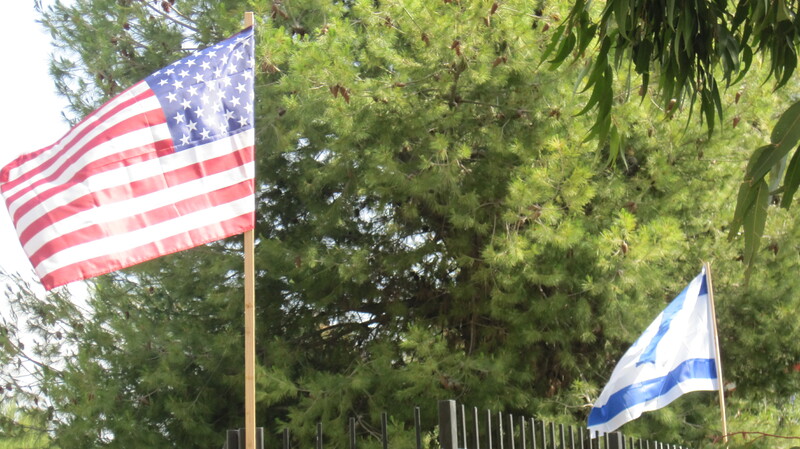 Judging by the flags, today the Frummies visited the American-Israel Expo. Today the Frummies visited the Israel Expo. But the American flags did a really good job of showing the outside world that we are loyal Americans. Just like everyone else. When the decorations went up earlier in the week, the perimeter of the fence was lined with Israeli flags. It looked beautiful. And utterly appropriate for an Israel celebration. And then…in miten drinen, American flags were added. For every kachol v’lavan, a corresponding Stars and Stripes. What is it that we fear? Do we still believe that the outside world will question our loyalty if we display the flag of our spiritual Homeland without the American flag? We would be naïve to dismiss that notion as outdated or alarmist. A cursory glance on Google proves that there is no shortage of anti-Semites who openly accuse American Jews of holding allegiance to Israel above and beyond their allegiance to the United States. And, by the way, these beliefs are held by anti-Semites in countries around the world. But putting up the American flags will not disabuse anyone who is committed to hate. And since that is the case, why put them up in the first place? I must respectfully disagree. I think it is good to display both flags. I was at an Israel Solidarity celebration yesterday (held on Lag B’Omer so there could be music). Each year, US and Israeli flags were handed out and both “The Star Spangled Banner” and “Hativah” were sung. I am not necessarily opposed to displaying both flags. What struck me was that it appeared to be a late-in-the-game decision to have an equal number of American flags. While it is appropriate to have an American flag on the dais and to sing “The Star Spangled Banner” when the Israeli flag is displayed and “Hatikvah” is sung, I see no reason to festoon the entire place with American flags at an Israel Expo.